These necks are all rock maple, 9 1/2 inch radius, medium frets, Fender© licensed headstock with a thin satin nitrocellulose finish. We’ve all heard the “magic” is in the wood and I have come to believe this. Get a light, resonant body and you will have the feel and sound of the earliest vintage guitars. 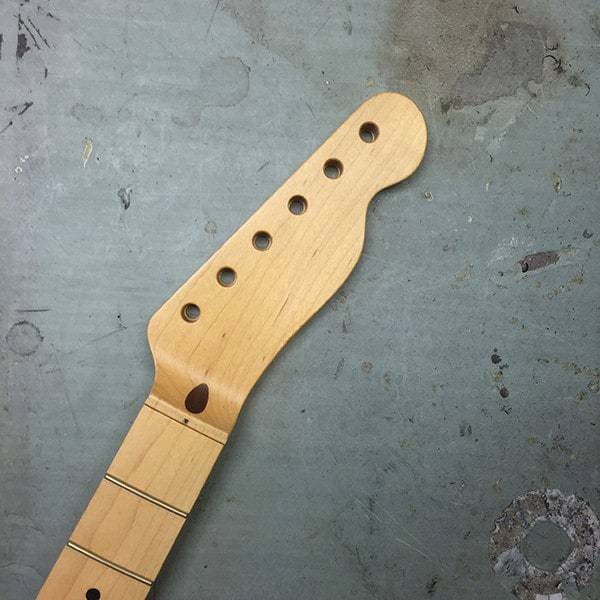 For those who want to further shape these necks or take the finish off the back, I recommend setting the guitar up and playing it for a while then removing a small amount of wood then playing it some more. I used the Stewart-McDonald scraper, then 400, 600, grit sandpaper followed by spray sanding sealer or satin nitrocellulose and let it dry overnight. These necks are incredibly comfortable. Don’t let the thickness scare you. I’ve used it on a pretty heavy telecaster body (not exactly what Lindy has recommended), but still has achieved an incredibly full beautiful tele tone. You will probably never need a truss rod adjustment due to the necks stability. I love what lindy has done here!!! I bought a Lindy Fralin Tele neck two years ago and I like it quite a bit. Lindy recommended using a “light, resonant body” (my Tele body is made of pine) “and you will have the feel and sound of the earliest vintage guitars”. I paired the neck with some Fralin pickups and I’ve been happy with the results. The guitar resonates like crazy and sounds like a combination between Keef’s “Micawber” and Roy Buchanan’s “Nancy”. The guitar growls like Keef’s but it will also twang and squeal like Roy’s and I’ve been more than happy with results. The only con side is the guy who assembled my guitar said he needed to spend a good amount of time dressing the frets but that’s to be expected. 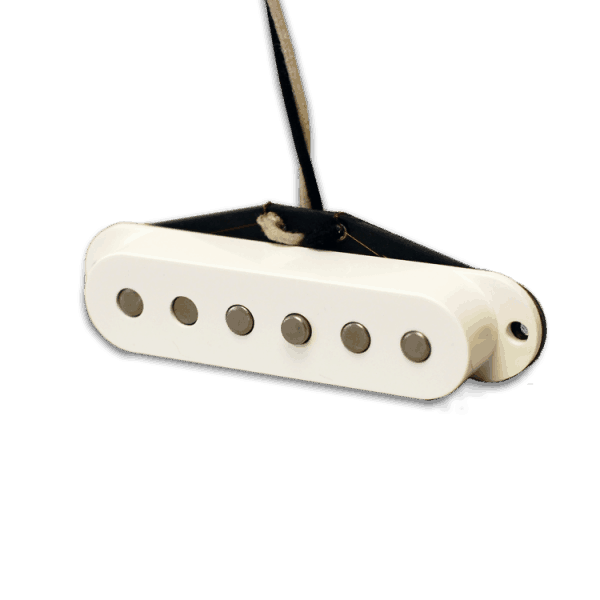 This is a “he-man” neck so if you’ve played real vintage guitars from the 50’s then you will feel right at home with this. Players used to modern necks may be surprised by how chunky it is but after about a week’s worth of playing you’ll feel right at home.